The popular Olympic star, who has recently published his autobiography outlining his dramatic return to swimming, is available in Sydney for a book signing. 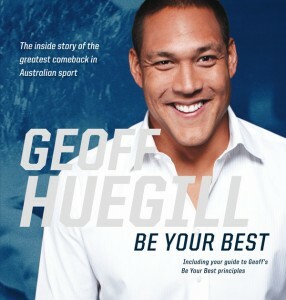 Geoff Huegill’s Be Your Best is a self-portrait of a man up against all the odds, a man back on the starting blocks after retreating into a self-imposed exile for five years. Huegill’s story is a rare and remarkable journey from hero to zero then back to hero. Be Your Best follows his rise to world record holder and world champion, his retirement and subsequent battles with his own demons and very visible weight gain. 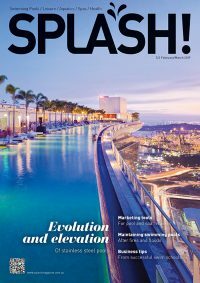 He details the inside story of his remarkable comeback, and we learn just what it took for him to not only lose more than 40kg in bodyweight, but to return to the pool and exceed all expectations to become national champion and gold medallist again at the age of 30. He also outlines his methods and the principles that inspired his amazing return to champion status. It is an ideal Christmas present for the aquatic minded person. Published by Random House. Meet Geoff Huegill and get a book signed. Come along to a special book signing with Australian Champion Swimmer Geoff Huegill as he signs copies of his new book Be Your Best. Click here for more information on Be Your Best.